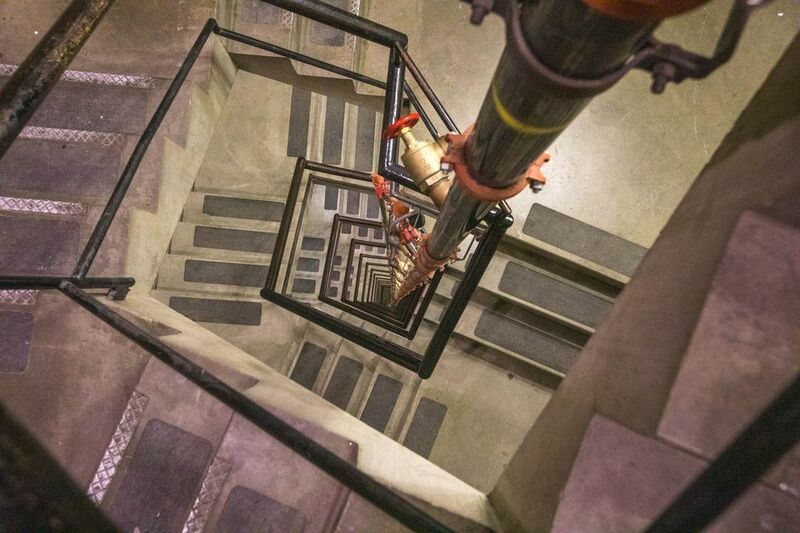 There are plenty of frightening places to be when a powerful earthquake strikes. Being perched in a tall air traffic control tower is one of them. 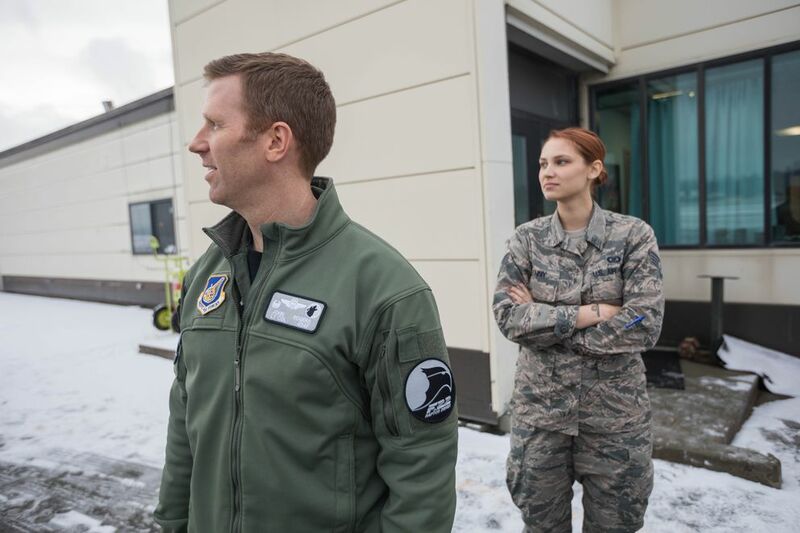 Soon after airmen at Joint Base Elmendorf-Richardson felt the 7.0 earthquake shake the Anchorage area on the morning of Nov. 30, they sprang into action to figure out what the quake would mean for planes that were set to land at Anchorage airports. Tech. Sgt. 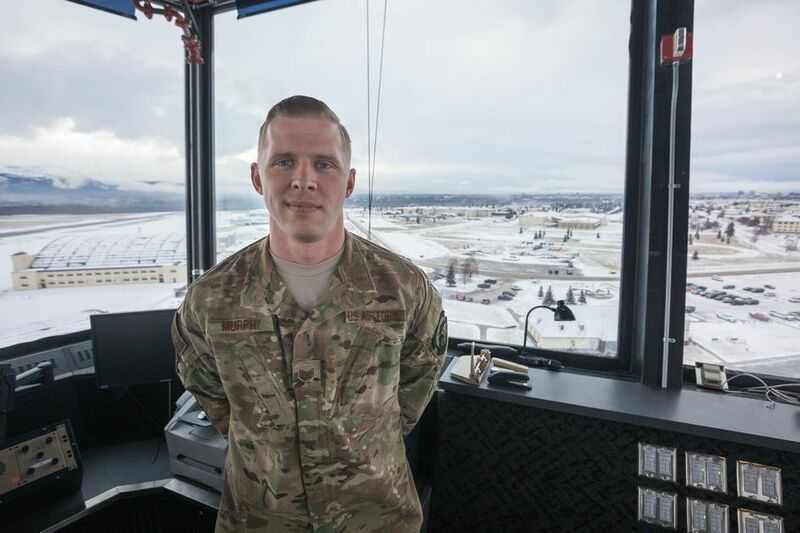 Anthony Murphy was at the very top of the stairwell in the JBER air traffic control tower when the quake hit just before 8:30 a.m. He was preparing to get into position for work, relieving other air traffic controllers on duty. Then, the tower started a large, lateral kind of swing, he said. He grabbed onto both sides of the stairwell. Things started to fall. It was hard for him to stand up. The shaking felt like it lasted forever. Then, the “rush of emotion” that hit. And through those thoughts, there were also the planes to deal with. JBER airmen were notified that Ted Stevens Anchorage International Airport, across town, might need to divert a couple aircraft to the military base, said Staff Sgt. 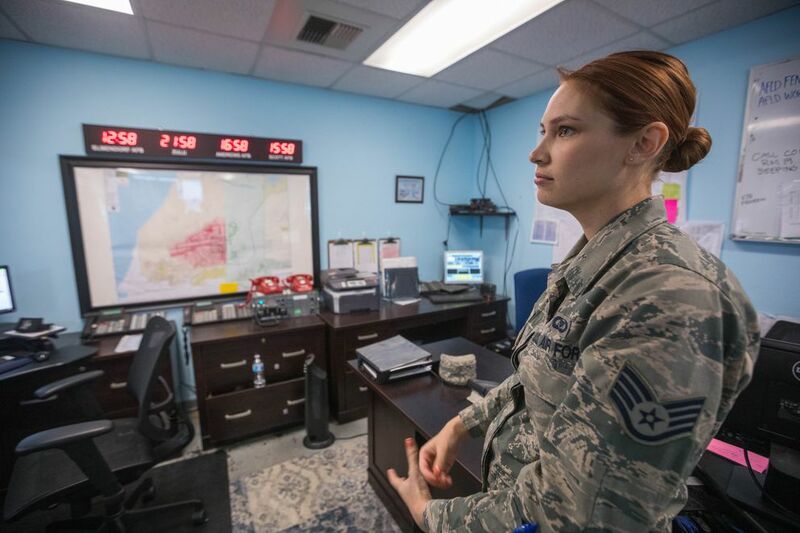 Samantha Glenny, a non-commissioned officer in charge of airfield management training. They didn’t get the call from the Ted Stevens airport that no planes would need to be diverted to JBER for almost the whole day, she said. JBER airmen were ready to jump on the possibility of having to facilitate those aircraft, Glenny said. People were clearing out ramps, opening taxiways, just to be ready, said 1st Lt. Kinser Newkirk, airfield operations director. 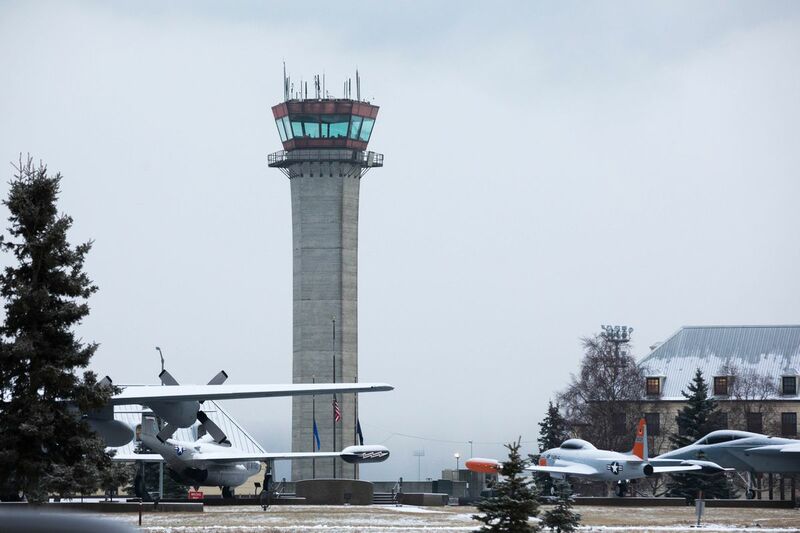 Over at the Ted Stevens airport, air traffic controllers who left their tower after the quake ended up directing flight traffic from inside a pickup truck, Alaska Public Media reported. People were doing the same thing at JBER, communicating with airborne C-130s from a truck, said Newkirk. Meanwhile, the aftershocks rolled. People at JBER could feel them on the 667-acre airfield and up in the tower. Training instincts kicked in quickly, Murphy said. He and his colleagues ran down checklists, made phone calls, did the things they were supposed to do in response to what had just happened. Rogers had been in an F-22 simulator during the earthquake. After he got out, he and his team assessed that the building was OK. Then, he went to the JBER Base Ops building, where he saw Glenny with both of the red crash phones going at once, directing the emergency response. One person out on the airfield had eyes on the tower while it was shaking, said Glenny. There were three people in the tower during the earthquake. One controller was in a position where he didn’t have anything to grasp, Murphy said, so he took a stance akin to going downhill fast on a skateboard. A week after the magnitude 7.0 earthquake shook the base, most operations are back to normal. The sound of jets roaring and mortars firing could be heard from buildings near the airfield on Friday, keeping some people on edge. Mark Mobley, an engineer with the 773d Civil Engineer Squadron, who has been surveying damage to the base, was giving a media tour at the Elmendorf Physical Fitness Center when the sound of a jet roared. Now, he jumps when he hears them. “I keep hearing those jets and I’m thinking, ‘You’ve got to be kidding me,’” he said.